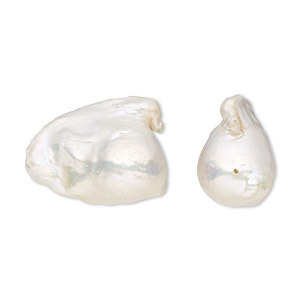 Pearl, cultured freshwater (bleached) white, 22x15mm-24x16mm baroque with 0.8mm hole, C grade, Mohs hardness 2-1/2 to 4. Sold individually. 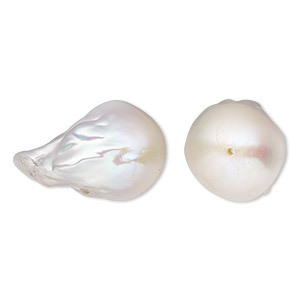 Pearl, cultured freshwater (natural), mauve, 19x16mm-20x17mm baroque with 0.7mm hole, C grade, Mohs hardness 2-1/2 to 4. Sold individually. 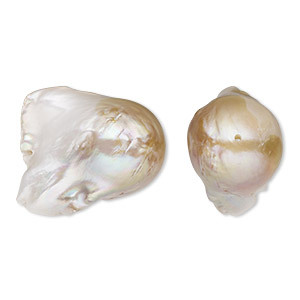 Pearl, cultured freshwater (natural), mauve, 25x21mm-27x22mm baroque with 0.8mm hole, C grade, Mohs hardness 2-1/2 to 4. Sold individually. 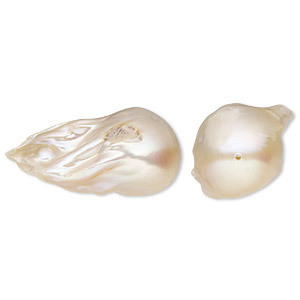 Pearl, cultured freshwater (bleached), white, 28x21mm-30x22mm baroque with 0.6mm hole, C grade, Mohs hardness 2-1/2 to 4. Sold individually. 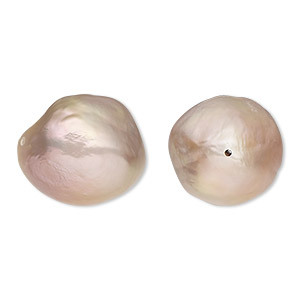 Pearl, cultural freshwater (natural), mauve, 34x22mm-35x23mm baroque with 0.4mm hole, C grade, Mohs hardness 2-1/2 to 4. Sold individually.